The ability to communicate through voice has been around ever since Alexander Graham Bell invented the telephone, but what made mobile phones so great is the fact that you can personalize them. A large part of this personalization came with Android OS, which continues to allow users to push the boundaries of customization and enjoy a truly personal mobile experience. Wallpapers are an essential part of this customization experience, which helps you give your Android device a facelift that suits your style. While Android OEMs and Google itself is always keen to include some stock wallpapers with the device, they simply don’t cut it for most of us. This is why there are some of the best wallpaper apps for Android, and we’ve tested the top ones to help you make a smart choice. 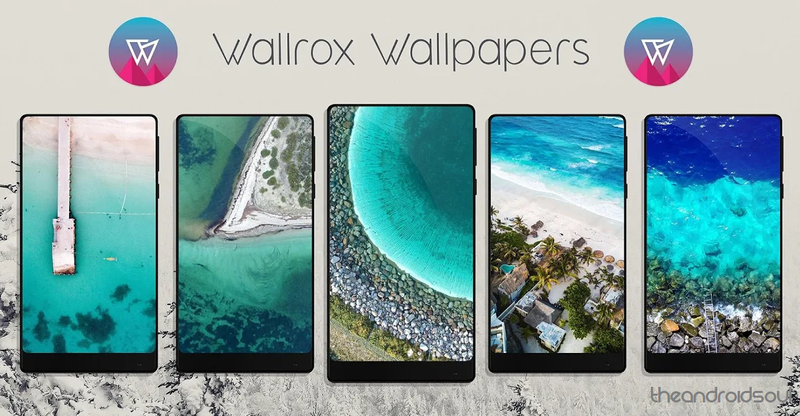 An unlikely contender in the world of wallpaper apps, Google Wallpapers has risen to fame based on its ability to bring you a refreshing piece of scenery every time. You can start off by setting different home and lock screen wallpapers, but what makes the app truly special is the fact that it automatically cycles a daily new wallpaper. In regard to the wallpapers itself, you get to enjoy a mammoth collection of images based on landscapes, seascapes, textures, cityscapes, geometric shapes and even more. The wallpaper you set on your mobile device is a direct reflection of your feelings, which don’t stay the same all the time. Backdrops is a wallpaper app on steroids that help you achieve this by becoming a hub of the coolest background images you can possibly imagine to find on the internet. 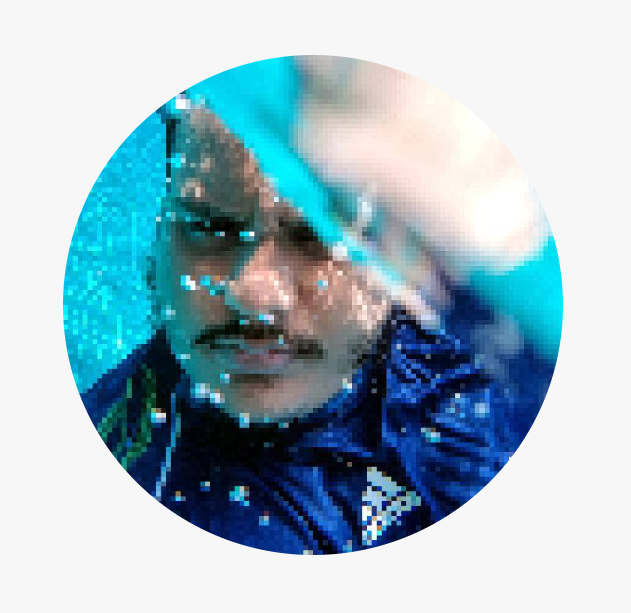 The social element of the app allows you to like creations, follow creators, upload your very own high-quality images and more. With features like Wall of the Day and separate sections for AMOLED, Trinity, Earth, and others types of wallpapers, you’ll never fall short with Backdrops. 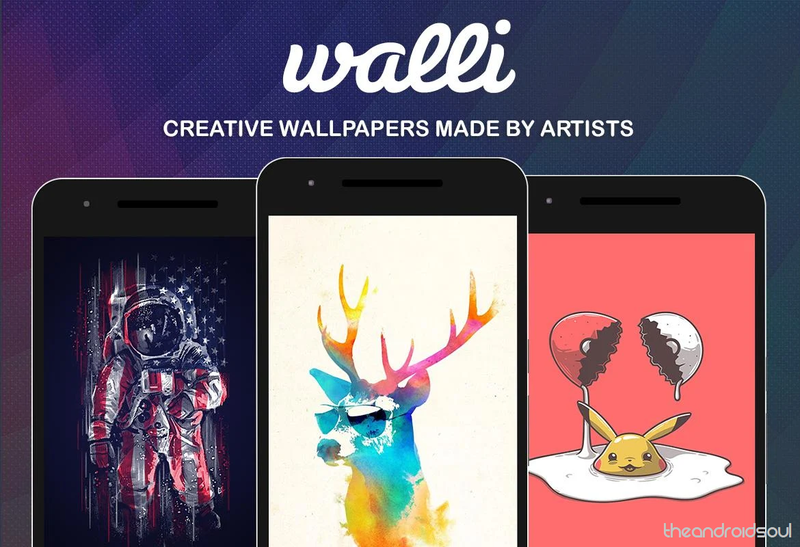 If you believe that creating wallpapers is an art form (which it definitely is), then you’re in for a treat with Walli. 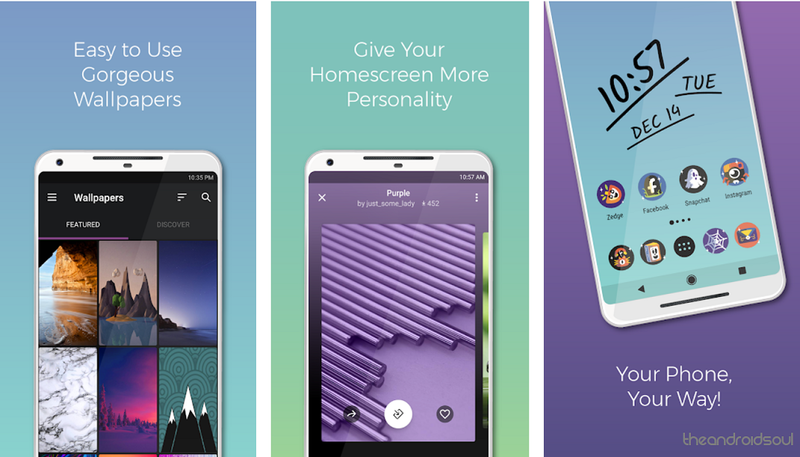 This wallpaper social media app gives you an entire feed of the coolest visual creations from the most talented designers who bring you millions of wallpapers for free. Similar to social media apps like Instagram, you can follow your favorite creators, like their posts, and scroll through categories such as dark, cartoons, summer, nature, abstract and so many more. There are some non-intrusive ads every now and then, but they’re totally worth it, and participating artists are awarded for their creations too! You can have the coolest futuristic designs on the show with wallpapers, but nothing beats the mosaic feel that the most famous artworks from the past offer with the Muzei Live Wallpaper app. 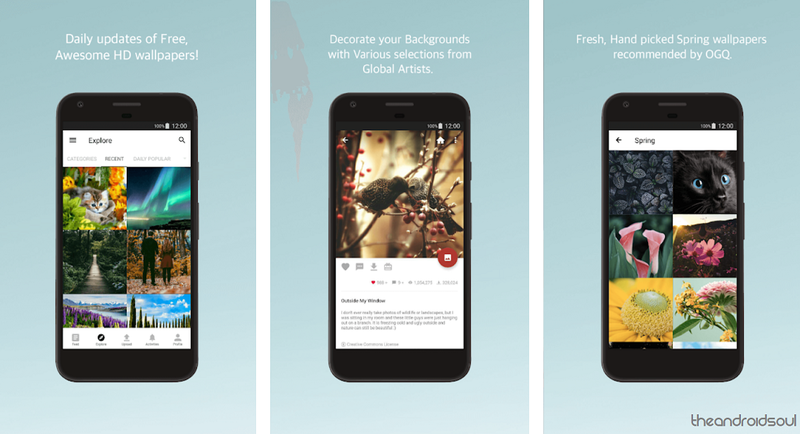 Sourcing paintings from around the world in high definition, the artwork blends into the home screen and lock screen of your Android device. 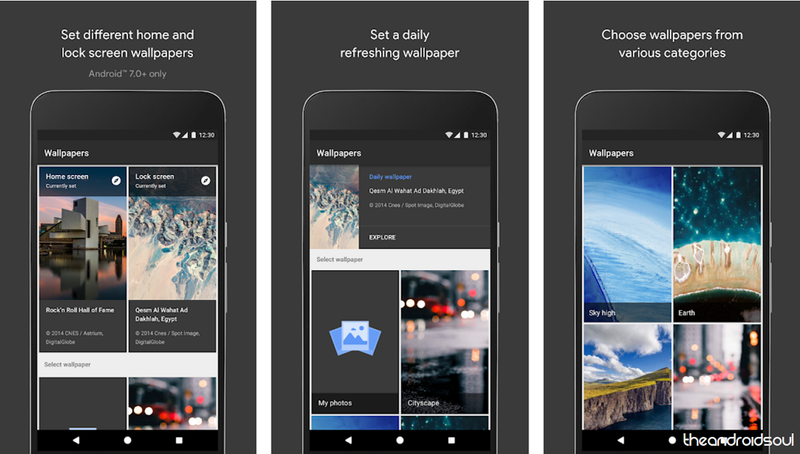 The wallpaper artwork is refreshed daily, and while the wallpaper remains blurred and dimmed to help you view icons easily, simply tapping an empty space on the home screen reveals the artwork for a couple of seconds in all its glory. Considering that ZEDGE is almost 4 years older than the Android OS itself, it demands a certain amount of respect for being one of the oldest services that have helped millions of users to customize their mobile devices. Apart from the fact that the app comes with a gigantic collection of ringtones for you to get your groove with, you get separate sections for wallpapers and live wallpapers to choose from, with over a dozen categories and a Featured section to find the trending ones right away. One issue that several mobile users face when finding good quality wallpapers is the varying resolutions that they are available in. WallpapersCraft solves this issue completely by automatically detecting the screen resolution of your device and offering only choices based on that. Keeping the interface simple, the HD wallpapers are divided as New, Rating, and Popular categories, where you can simply tap on them to download or set as the device wallpaper right away. 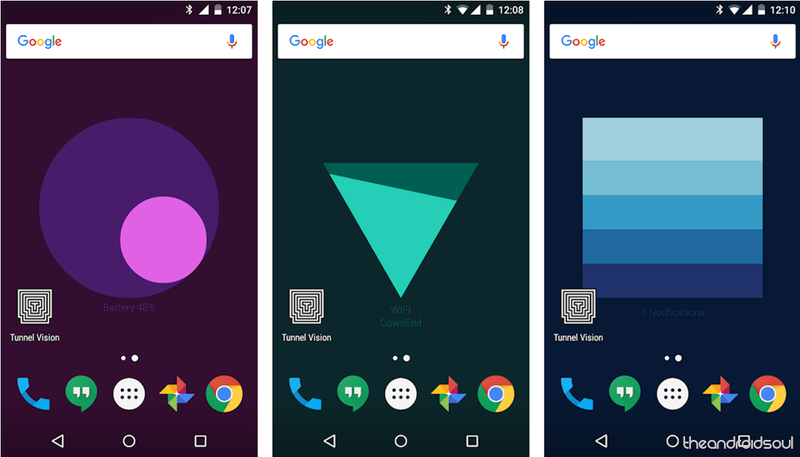 A brainchild of the Google Creative Labs initiative, Meter was created to bring simplified geometric wallpapers that do more than just look pretty. You can enable the Circle (battery), Triangle (Wi-Fi + Cellular), and Square (Notifications), which will then be displayed on your home screen as wallpaper. However, what makes them interesting is the fact that the geometries of each shape will change based on the battery percentage of your phone, available mobile and wireless networks, and the unread notifications. Similar to some of the social media wallpaper apps on the list Backgrounds HD comes with one of the largest collection of high-quality wallpapers that are handpicked by the developers. You sign up as a user who not only gets to like, comment and download wallpapers shared by users, but also upload and show off your very own wallpapers too. While not all of the wallpapers you see in your Feed are high definition, you can browse the best of the best separately under the Explore section and find Daily Popular choices for a refreshing start. While AMOLED displays have existed for years now, they’re finally becoming an industry-standard among Android devices, offering deeper blacks and more vibrant hues. For all the Galaxy smartphones and other devices that pack an AMOLED display, this wallpaper app is the ultimate solution. Making sure that every single wallpaper in their catalog comes with more than 50% black color hex code, AMOLED Wallpapers start at a minimum of 1080p Full-HD resolution, come separated based on categories like Super Hero, Landscape, Minimal and so many more. 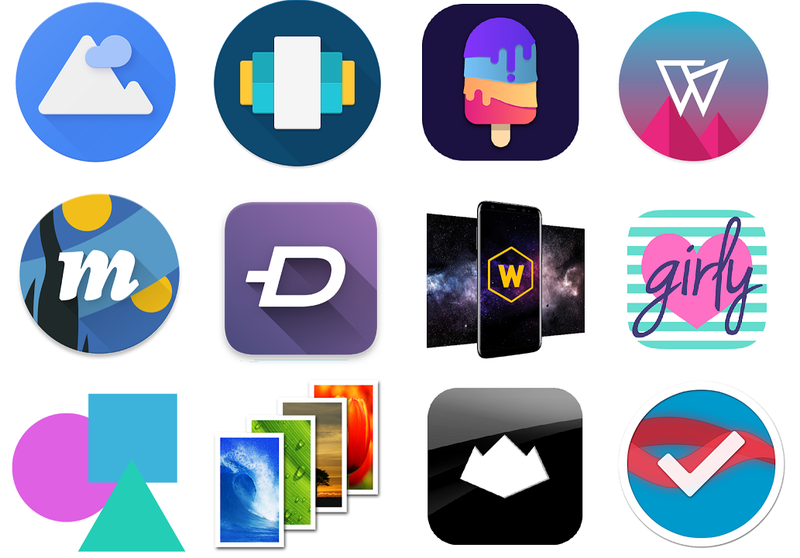 Unlike most of the best wallpaper apps we’ve highlighted above, what makes Wallrox Wallpapers different is that it does not come with submissions from the community. 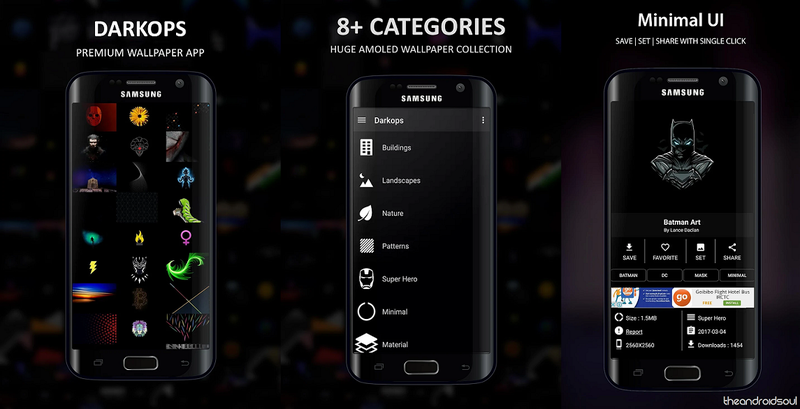 After looking closer, we noticed that most of the contributions come from the app developer himself, but that does not change the fact that Wallrox Wallpapers comes with some the most unique offerings out there. Breaking it all down into Trending, AMOLED, Blur, Space and so many more, almost all of the images we came across are enlisted in 4K UHD resolution, so even devices like the Galaxy S9 and S9+ can make the most out of it. After noticing an overwhelming number of men-oriented wallpaper apps, we dug in to find this gem that brings a dash of girly and feminine vibe to mobile devices. Girly Wallpapers & Backgrounds comes with more than one dozen categories of wallpapers to choose from, such as Cartoons, Fashion, Quotes, Winter and more. While we love the fact that you can view and set wallpapers with a single click, there’s no way to view resolution of the images (although most of them looked to be 1080p Full-HD resolution). 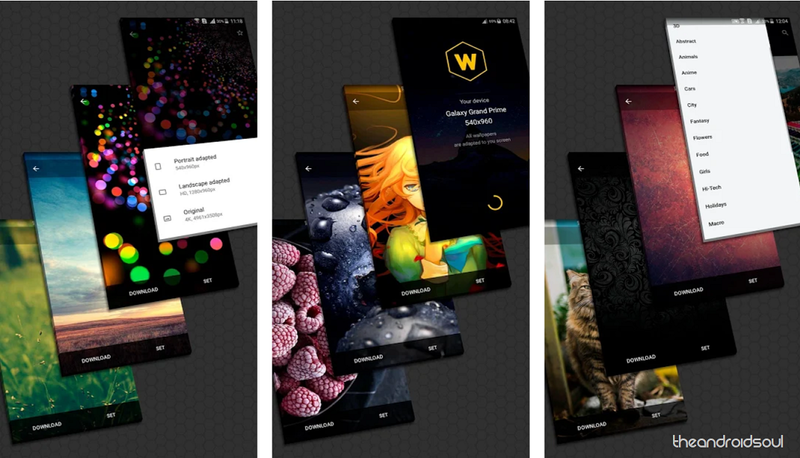 Up until now, you’ve had to depend severely on the internet to not only find the best wallpaper apps but load new ones from the contributors. 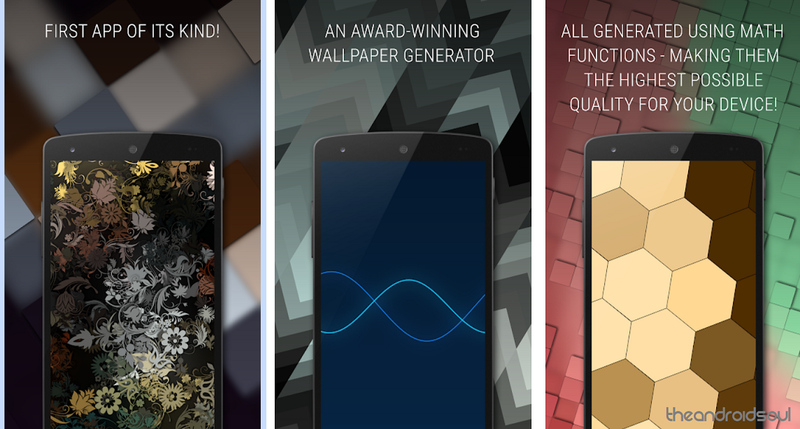 However, Tapet is one app that hopes to change all of this by becoming a wallpaper generator for your Android device. You get to choose from dozens of different free and premium patterns, which can then be customized in an unlimited manner. The app even gives you a Randomize app shortcut which helps you set a different wallpaper design with the tap of a button. Which one of these best wallpapers apps for Android is going to be your choice for revving up the display of your mobile phone? We’re looking forward to hearing from you, do hit us up in the comments section down below.